Webasyst is a next generation CMS which combines web publishing tools, blogging, and ecommerce with enterprise collaboration platform. On your custom domain name. All in one place. Webasyst offers a multi-app UI ready for integrating and designing your custom apps, handles user authorization, access rights management, routing setup, and much more. 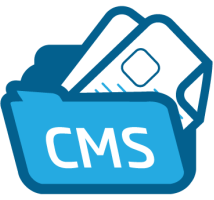 Webasyst is a very flexible Content Management System (CMS)! Use built-in Site app to create a website. Add more apps such as Blog, Photos, and Shop-Script 6 to create complex multi-app-powered sites. Design custom apps for your clients, customize who can access and what, install existing ready-to-use apps for creating a site, a blog, an online store, and more. Sign up for our UK Webasyst Hosting with no risk to try our excellent service start from £2.99/month! ASPHostDirectory.com offers cheap Webasyst Hosting to all our new and existing UK customers. You can try our services before buy it. Get FREE 7 days Trial Hosting with us. There's no obligation to buy — you can upgrade to a more robust account or cancel at any time. No risk anymore, why wait longer?